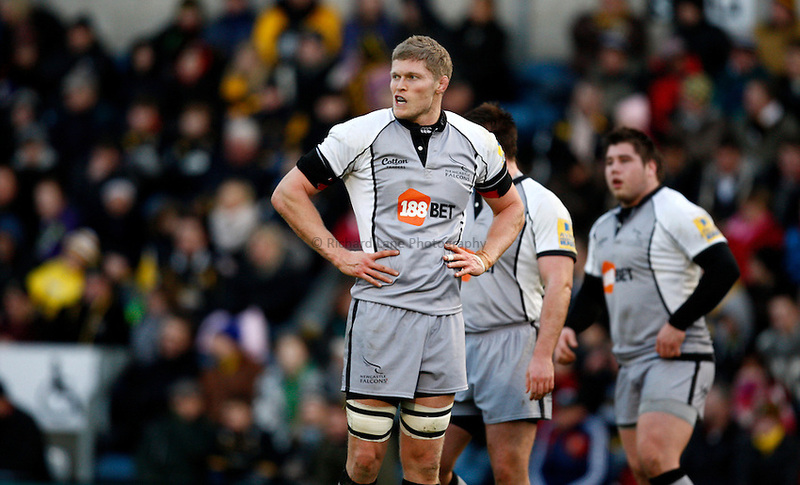 Photo: Richard Lane/Richard Lane Photography.London Wasps v Newcastle Falcons. Aviva Premiership. 02/01/2011. Falcons' James Hudson.